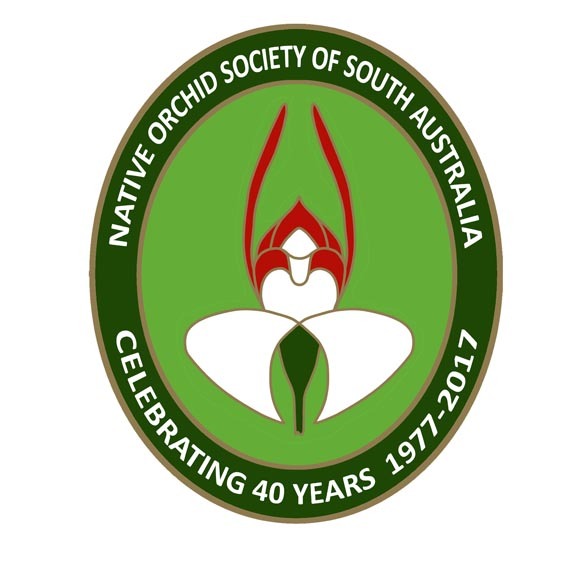 Again this month was a varied selection of species with Pauline Myers’ Caladenia chapmanii (WA), Claire Chesson’s Thelymitra rubra, Jenny Pauley’s hybrid of Arachnorchis brumalis x conferta, David Hirst’s Caladenia discoidea and the winning entry, Rosalie Lawrence’s Diuris brevifolia. 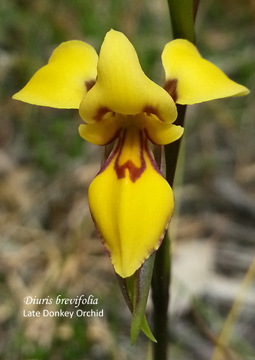 This strikingly yellow flowered donkey orchid endemic to South Australia is listed as Endangered. Its range was once quite widespread in the southern Adelaide Mt Lofty Range region but now it is now restricted to pockets on the Fleurieu Peninsula and western Kangaroo Island in Heathy Woodland, Wetland and Riparian habitats. 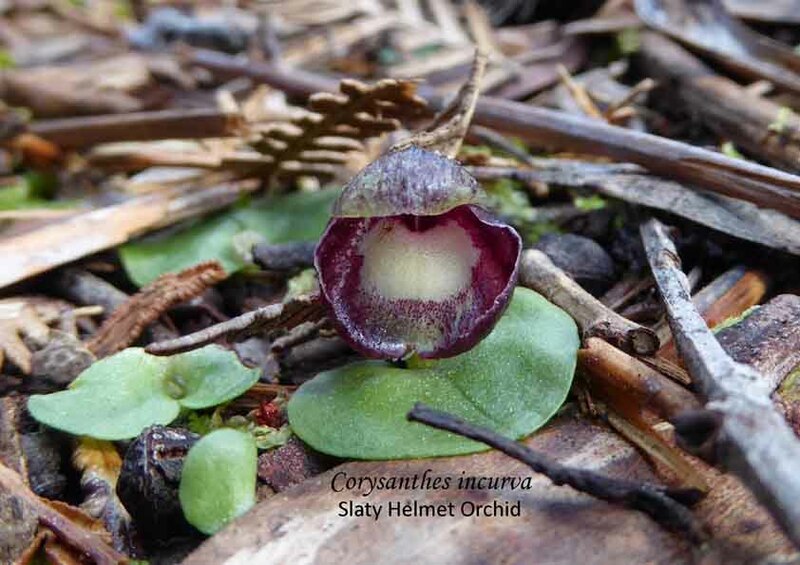 There is interest today in cultivating orchids for conservation or ex situ conservation. With the reduced range of this species, can it be cultivated and thus continue to ensure its survival as a species? Some sources seem to suggest that it is an easy plant to cultivate, and some Diuris are easier than others, but Les Nesbitt points out that he has some plants from a rescue dig several years ago and that they have not multiplied very much in that time. This suggests that they may be dependent on a specific fungi. Though it has not been hugely successful in cultivation, it is worth noting that it has been used to produce hybrids with several other Diuris. This entry was posted in Growing Terrestrials, Monthly photo competition and tagged Australian orchids, diuris, Diuris brevifolia, Donkey Orchid, growing terrestrial orchids, Late Donkey Orchid, Native Orchids, Photographing orchids, South Australian Orchids, Terrestrial orchids, Wild Orchid. Bookmark the permalink.